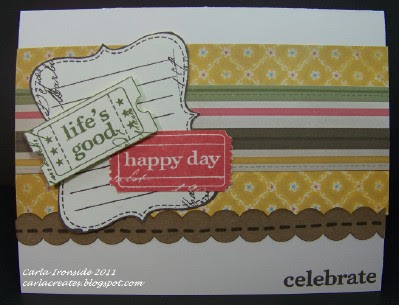 A quick & easy birthday card for you on this rainy Monday morning! Love your layering & stitching effects too! Mayberry is just so cheerful!